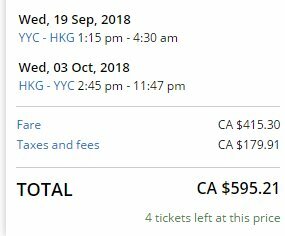 ANA, All Nippon Airways, is showing a few flights from Calgary to Hong Kong for $595 CAD roundtrip including taxes. The flights have 2 stops each way, in Vancouver and Tokyo, Japan. All Nippon Airways is an excellent airline, ranked #3 in the world in 2017. Google Flights will lead you to the United Airlines website, but the booking details should show that the flights are actually operated by ANA (All Nippon Airways). 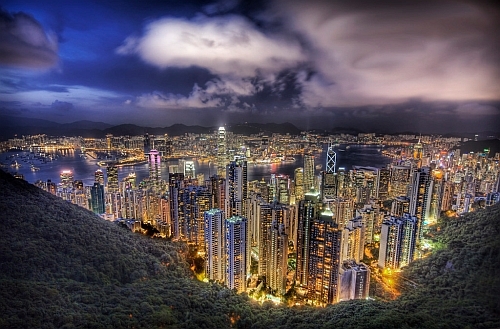 calgary, yyc, flight deals, asia, east asia, hong kong, hkg, ana and all nippon airways.